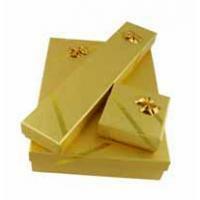 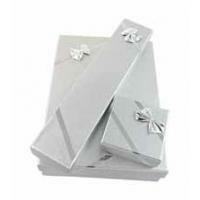 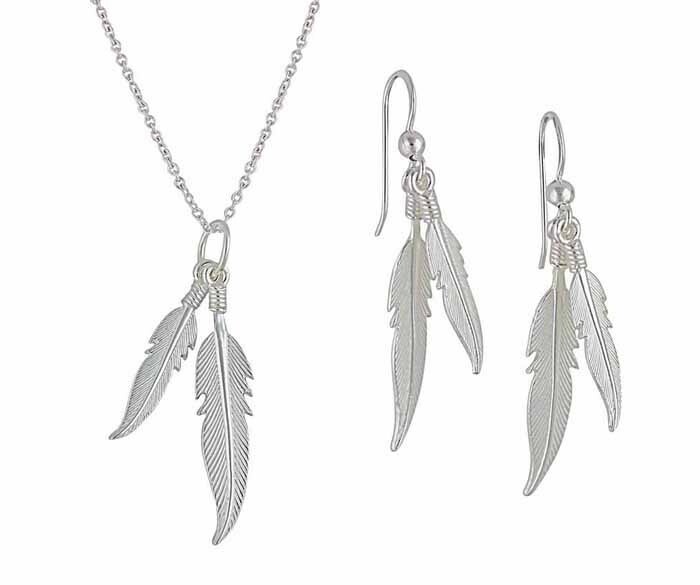 Embrace the beauty of nature with this charming jewellery set. 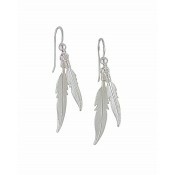 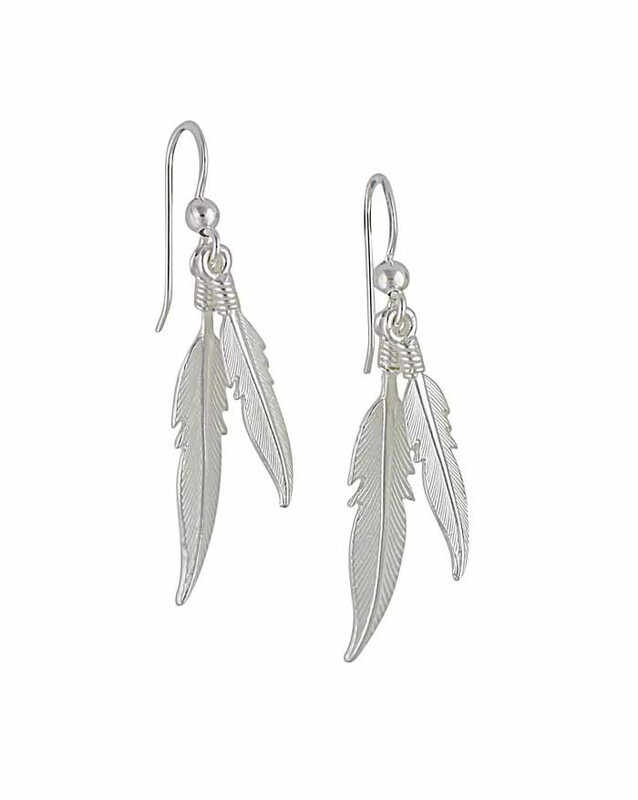 Entirely crafted from sterling silver, it features a pair of dangle earrings and a necklace. 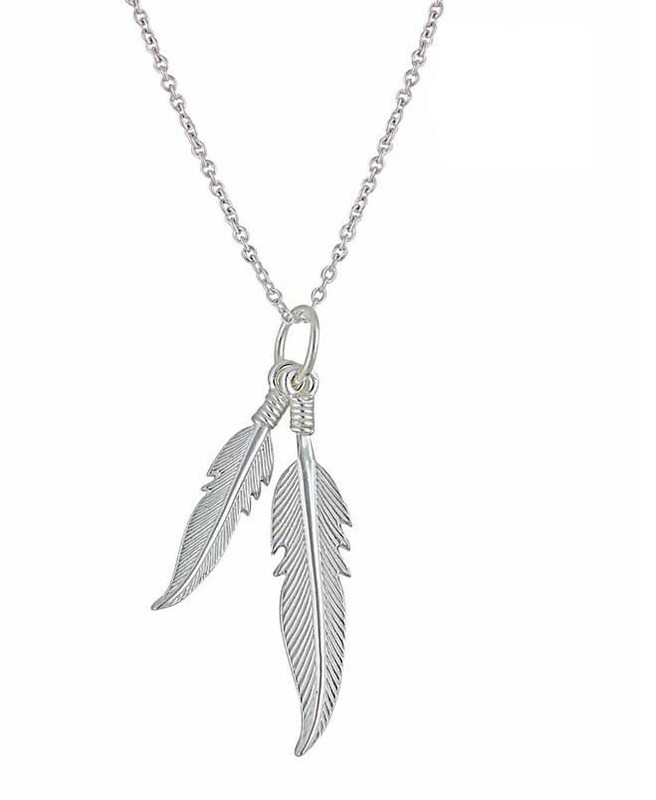 Both pieces are adorned with a double feather drop that is further accentuated with textured detailing. 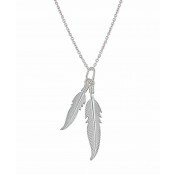 Swaying effortlessly when worn, the pendant also comes supplied with a silver chain.